Those guys over at the unfiction forums are all over this just like they were with Cloverfield (and thanks to Yiddleja again for the tip). 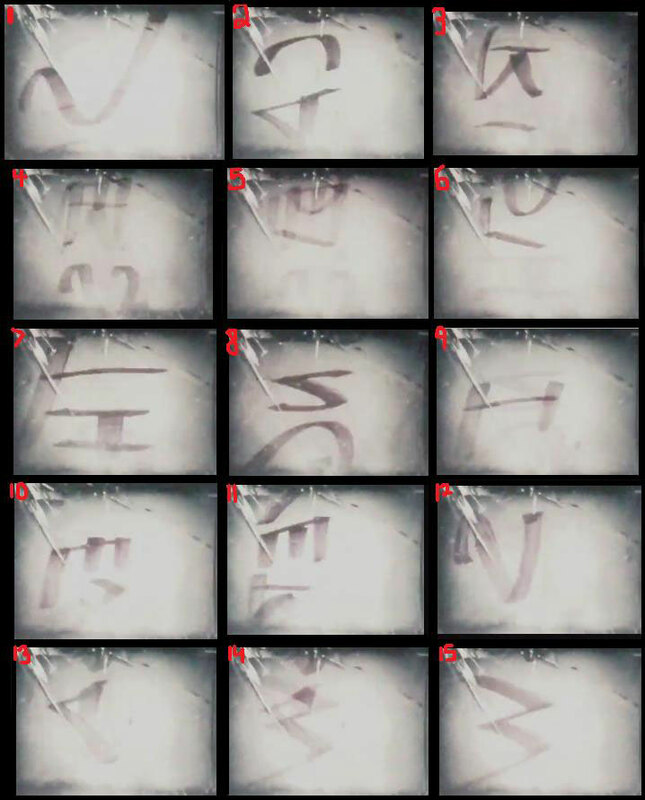 It looks like there were some letters that flashed during the trailer that have possibly been decoded to say "Scariest Thing I Ever Saw". And of course the first thing we're gonna do is punch that into a web browser and get www.scariestthingieversaw.com which seems to have been registered a little over a week after the super8-movie.com website was, and by the same registration company. The number ticks every 5 seconds. Times that by 5, you get 643,200 seconds until the countdown ends. Divide that by 60, 10720 minutes. Divide THAT by 60, get 179 hours. Which is just around 7 1/2 days. So, probably around Noon on the 15th? So it looks like, if this is connected, we may get a new reveal or something new around noon on May 15th, 2010. The only other thing that I noticed while playing with the green screens is the name D. Morris 05-FEB-77, so there could be a clue there. And that's all I have for right now on this. I think it's probably legit and connected to the project based on the domain registration as well as the ip traces back to the same place that Cloverfield's sites were hosted on as well as the official site for Super 8. I've posted a bunch of screenshots after the jump for those that may not be able to access that page for whatever reason. UPDATE: It seems as though there's a slight change in the last "countdown" screen that I posted early this morning compared to what it shows now. Instead of only 2 of the lines having text in them, it has now moved onto the 3rd. I've posted a new screenshot after the jump below the previous one so you can see what I'm talking about. UPDATE 2: The countdown is now on #19 of 20 and I've redone the calculation that was mentioned above and I seem to have come up with a different ending time of 10PM CST tonight or 11PM EST. Someone double check and let me know what you come up with, I could have miscalculated. UPDATE 3 (6/2/10): A new folder has appeared behind the windows on the site, head on over HERE to discuss.